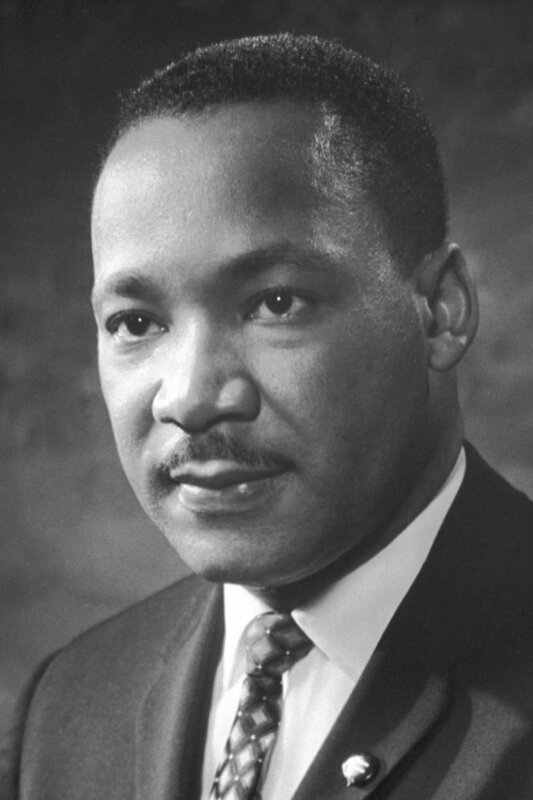 Martin Luther King was an especially prominent African American activist who received numerous honors and is now commemorated by a national holiday. Template:African American topics sidebar This is a list of African American activists covering various areas of activism, but primarily focus on those African Americans who historically and currently have been fighting racism against African Americans. The United States of America has a long history of racism against its Black citizens. The names detailed below contains only notable African Americans who are known to be activist (sorted by surname). Ralph Abernathy Civil rights activist Ralph David Abernathy, b. March 11, 1926, d. April 17, 1990, was a leader of the Civil Rights Movement, and close friend and mentor of Martin Luther King Jr.
Naomi Anderson Gender (mainly women) and racial equality Born: Naomi Bowman Talbert Anderson (March 1, 1843 – ?). Black suffragist and poet. Theresa El-Amin Civil rights activist Union organizer and former member of the Green Party of the United States Steering Committee. James Baldwin Race and LGBT equality. Born James Arthur Baldwin (August 2, 1924 – December 1, 1987). Also novelist and playwright. Baldwin was an inclusionist, not a separatist during the Civil Rights Movement. Lillie Mae Bradford Civil rights Four years prior to Rosa Parks's refusal to give up her seat to a white man, Bradford was charged the wrong bus fare and racially insulted by a bus driver in Montgomery, Alabama to which she protested by sitting at the front of the bus reserved only for white people in accordance with racist American laws against its Black citizens. She was arrested and charged for disorderly conduct. Aurelia Browder Civil rights Also known as Aurelia Shines Browder Coleman (January 29, 1919 – February 4, 1971). Almost eight months prior to the Rosa Sparks incident, Browder was arrested in Montgomery, Alabam for refusing to give up her bus seat to a white person. Nannie Helen Burroughs Civil rights and feminist Burroughs (May 2, 1879 – May 20, 1961) was also an educator, orator, religious leader and businesswoman. Archibald J. Carey, Jr Civil Rights Movement Archibald James Carey Jr. (February 29, 1908 – April 20, 1981) was a lawyer, judge, politician, diplomat and clergyman. Confidante of Martin Luther King Jr., Carey was also active in the national Civil Rights Movement and worked to end employment discrimination in the U.S. government against Black Americans. Claudette Colvin Civil Rights Movement Claudette Colvin (September 5, 1939) is an American nurse and one of the pioneers of the Civil Rights Movement. Colvin was arrested on March 2, 1955, at the age of 15 in Montgomery, Alabama for refusing to give up her seat to a white woman on a crowded racially segregated bus. Colvin was also an NAACP Youth Council member in her student days. Anna Julia Cooper Black feminist and civil rights Anna Julia Haywood Cooper (August 10, 1858 – February 27, 1964) was an author, educator, sociologist, prominent African-American scholar, and "sometimes called the mother of Black Feminism." Patrisse Cullors Black Lives Matter and LGBT Born in 1984, Cullors is an artist and activist, and an advocate for prison abolition in Los Angeles. She is a co-founder of the Black Lives Matter movement. Angela Davis Communism and feminism Briefly involved in the Black Panther Party during the Civil Rights Movement. William L. Dawson Civil Rights Movement William Levi Dawson (April 26, 1886 – November 9, 1970) was a politician; an active participant during the civil rights movement; and a sponsor of registration drives. Charles Diggs Civil Rights Movement Charles Coles Diggs Jr. (December 2, 1922 – August 24, 1998) was an early member of the civil rights movement. Frederick Douglass Abolitionist Frederick Augustus Washington Bailey; c. February 1818 – February 20, 1895 was a social reformer, abolitionist, orator, writer, and statesman. Erica Garner Black Lives Matter. Daughter of Eric Garner – the African American man who was choked to death by a New York City Police Officer. She was the founder of the Garner Way Foundation, a foundation named in honour of her father. The objective of the foundation is to "engage communities all over the world in social justice issues through political awareness, music, arts and activism." ↑ Schwartz, Barry (June 2009). "Collective Forgetting and the Symbolic Power of Oneness: The Strange Apotheosis of Rosa Parks". Social Psychology Quarterly. 72 (2): 123–142. doi:10.1177/019027250907200204. JSTOR 25593914. ↑ "Nannie Helen Burroughs papers, 1900-1963 (Library of Congress), Biographical Note (Woman's Auxiliary of the National Baptist Convention of the United States of America)". Hdl.loc.gov. 2001. Retrieved 6 March 2019. ↑ "Angela Davis". CCCB. Retrieved March 9, 2019. This article "List of African American activists" is from Wikipedia. The list of its authors can be seen in its historical and/or its subpage List of African American activists/edithistory. Articles copied from Draft Namespace on Wikipedia could be seen on the Draft Namespace of Wikipedia and not main one. This page was last edited on 16 March 2019, at 01:10.